Exmouth is the home port for the MG Kailis fishing fleet. 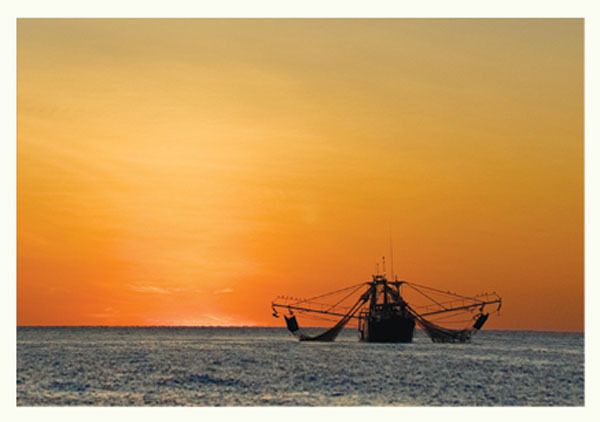 MG Kailis owns operates 100% of the available licences in the Exmouth Gulf Prawn Fishery, utilizing a state of the art, purpose built fleet of trawlers. Cooked and raw prawns are caught, processed and packed frozen-at-sea, sealing in the beautiful flavour and nutritional value. These prawns are produced to exacting quality standards and packaged into various pack types to best suit the client’s needs. Brown Tiger Prawns (Penaeus esculentus) and Western King Prawns (Melicertus latisulcatus) are the prize catch. In addition significant quantities of Endeavour Prawns (Metapenaeus endeavouri) are also landed, whilst on the hunt for the mighty Tiger prawn. In collaboration and consultation with The Department of Fisheries in Western Australia the group manages the Exmouth Gulf’s harvest strategies. The Exmouth Gulf is recognised as one of the best-managed sustainable fisheries in the world today, producing about 900 tonnes annually of prawns. 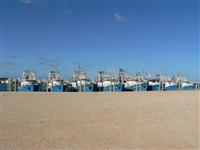 The Exmouth prawn fishing season operates between April and November every year. Our prawns are sold both domestically and internationally, marketed under the “Exmouth Wild” and “SeaSnap Premium” brands and enjoy a fine reputation as first class, premium, wild-caught prawns. MG Kailis also operates two demersal fish trawlers in the Pilbara Interim Managed Fish Trawl fishery. These vessels operate year-round and catch a range of high end tropical species including Red Emperor, Gold Band Snapper, Rankin Cod and many others. The majority of this product is sold fresh chilled throughout stores all over Western Australia.